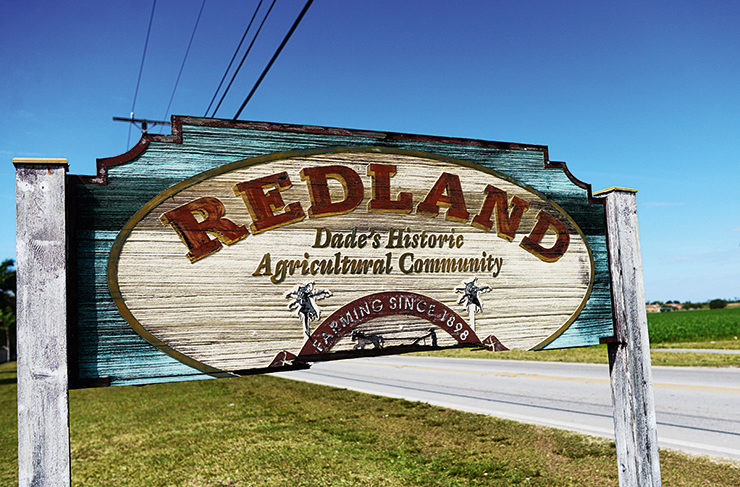 Unincorporated Redland, Florida, also know as “The Redlands”, just might be one of Miami-Dade’s County’s best kept secrets. Just 26 mlles southwest of downtown Miami, the border’s extend from SW 184th Street on the north to Homestead city limit on the south to the Everglades on the west to SW 134 Avenue on the east. In the 1890’s homesteaders began farming the land, named for its red clay that covers the layer of oolite rock. Today most homes are situated on lots no less than 5 acres. Although you may find the rare 2 1/2 acres lot deeded before the moratorium of such parcels passed in the 1970’s. These days there is still plenty of farming activity in the area and you may get stuck behind the occasional tractor driving down the road. However, just as with everything else in life, the only constant is change. Today you will also see larger new construction homes on the 5 acres lots and just outside The Redlands there are many new construction developments. Search for Redland homes HERE.